It is not currently possible to make a video or audio clip louder in Create. You can, however, turn down the volume of a clip so it is quieter or entirely muted. See below for instructions. 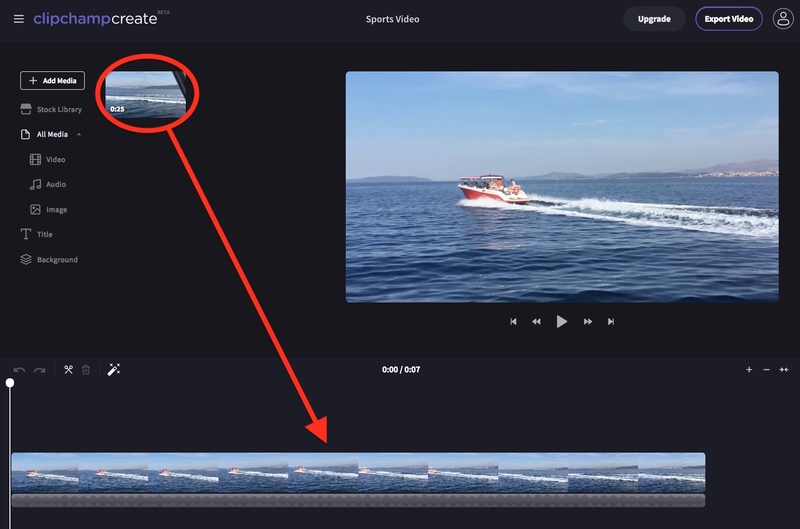 You can also add a fade in or fade out effect to a video or audio clip – to learn more about fading, see: how to add transitions and fades. 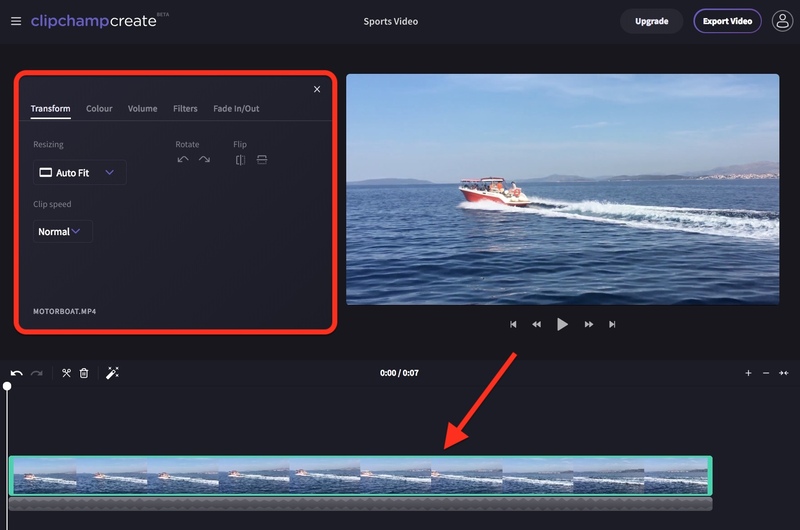 The video will be highlighted in the timeline when selected, and a menu will appear in the top left of the editor window. Drag the Track volume slider down to the desired percentage e.g. choose 50% for half as loud. Drag the slider down to 0% to mute the video entirely (so no sound is heard). Once you are finished adjusting, simply close the menu by clicking the X in the top right. Drag the Track volume slider to the left to set it at the volume you prefer. 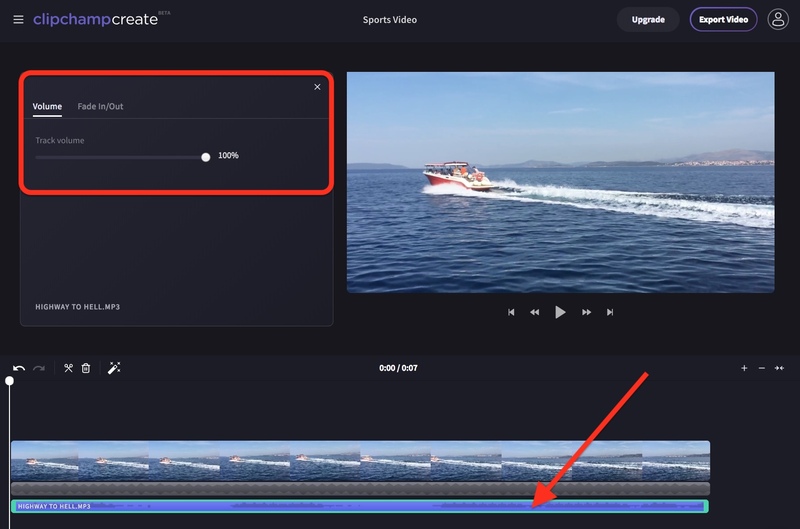 You can return the video or audio clip to its original volume at any time by selecting it in the timeline again and moving the slider back to 100%.